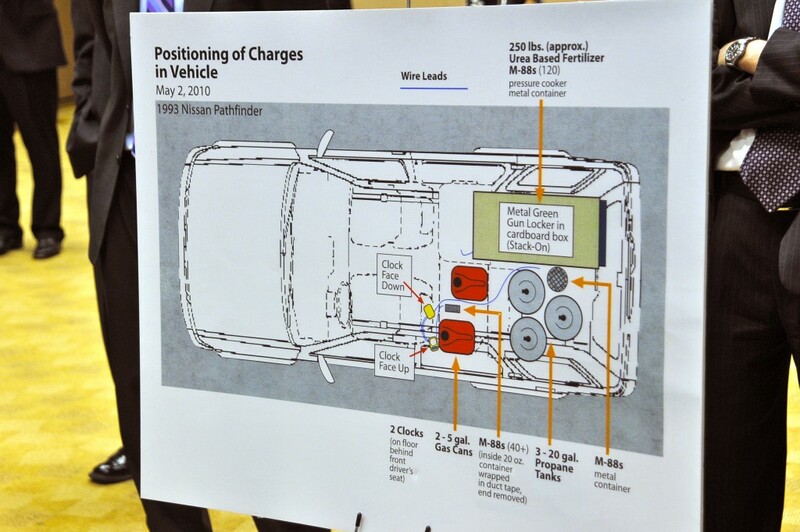 WASHINGTON — The 30-year-old Faisal Shahzad admitted after his arrest Monday night that he brought the Nissan Pathfinder to Times Square on Saturday and tried to detonate it, according to an FBI affivadit unsealed Tuesday afternoon. The affidavit, part of criminal complaint, also stated that Shahzad admitted getting bomb training in Waziristan, Pakistan. That region of Paskistan is flush with Taliban and al Qaeda. The affidavit also stated that he received phone calls from Pakistan around the time he was buying the car that was to be used in the bombing, and that his landlord saw bags of fertilizer in his garage. 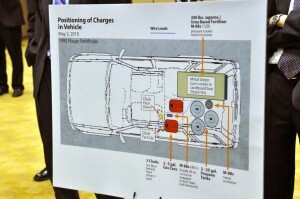 Fertilizer was found in the car with the explosive materials. 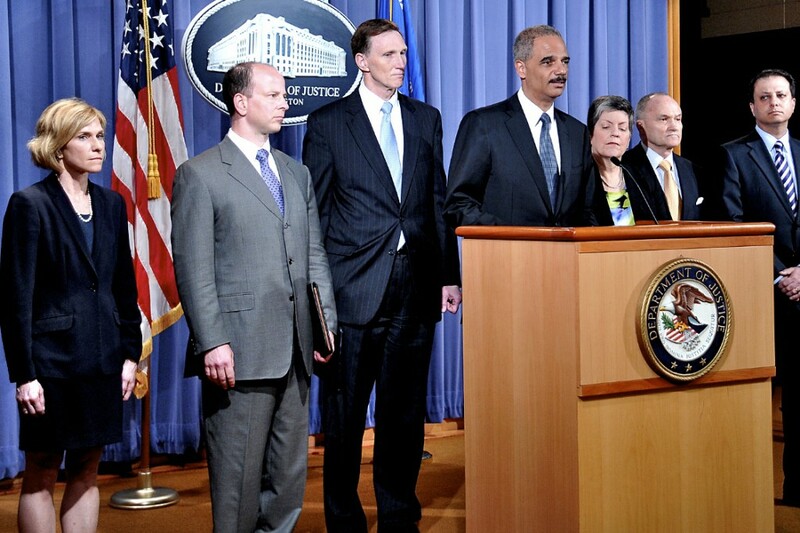 Meanwhile, Attorney General Eric Holder Jr. told reporters Tuesday at a press conference in Washington that Shahzad, a Pakistani-born and naturalized U.S. citizen living in Connecticut, was being cooperative and continued to provide useful information even after he was Mirandized. Holder declined to comment on reports that Shahzad said he acted alone or on one of the possible theories that the attempted bombing was a response to Comedy Central’s South Park cartoon show that mocked the Islamic Prophet Muhammad. “Well, as I said, the investigation is ongoing, and we — our aim is to determine who is — exactly was involved in this matter, to bring all those people who are involved to justice,” Holder said. N.Y. Police Commissioner Ray Kelly, who attended the press conference, noted with pride how quick the arrest was made. Meanwhile, the New York Times is reporting that Pakistani authorities have made several arrests after Shahzad was arrested in New York. But authorities said Wednesday that the arrest were unrelated to the New York case. Posted: 5/4/10 at 3:11 PM under FBI, News Story.